Thanks to Peter Littlechild for this guest post. Albany Road Baptist Church is a vibrant fun loving church in the heart of Roath. As a church we run lots of weekly clubs and services like a food co-op, pram and pushchair, luncheon club for seniors, art classes, youth club etc. and try to serve our community the best way we can. 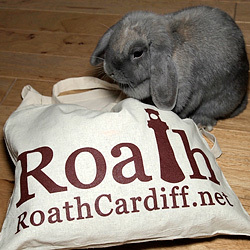 We met with Made in Roath and decided to host an event for the festival called Roath’s Got Talent. 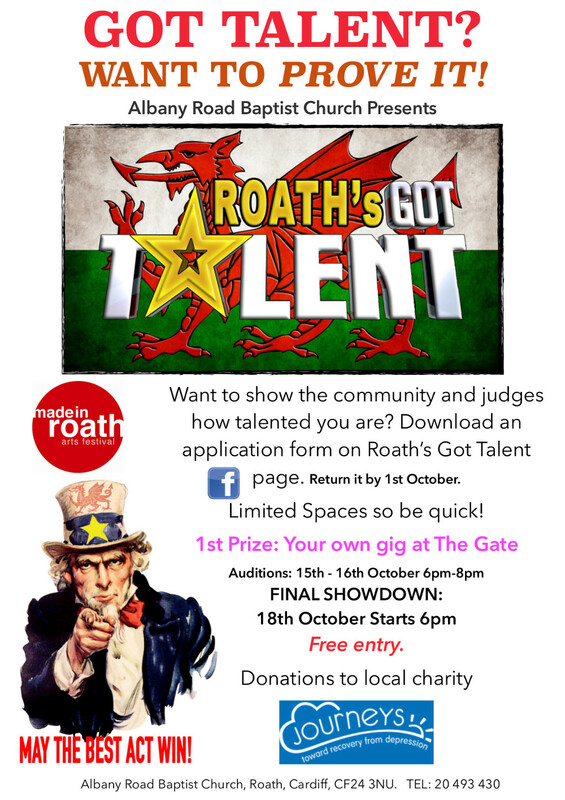 It is free to enter via our Facebook page and we’re also on twitter @roathsgottalent. All you need to do is fill in an application form and return it to the church. It’s also free to turn up and watch. We wanted to help a local charity on Albany Road called Journeys (towards recovery from depression), so we will be holding a bucket collection. The winner will get their own gig at The Gate Arts Centre, which will also be in aid of Journeys. We are really looking forward to hosting the event and hope to see a diverse show with no age limit – it will be great for families to attend. Our audition shows are 15th and 16th of October from 6-8pm and the final will be held on Saturday 18th October from 6pm. Please come down to support us and cheer the acts on.